A 2014 Retirement Confidence Survey (RCS) conducted by the Employee Benefit Research Institute showed Americans are increasingly confident in their ability to afford a comfortable retirement. The improvement came after the RCS survey report recorded lows between 2009 and 2013, the years following the stock markets devastating losses in 2008. It is no surprise that the survey shows improvement after the extremely strong performance of the stock market and rising property values in 2013. If you are extremely lucky you work for a company that sponsors a traditional defined benefit plan. Although they are increasingly rare you receive a guaranteed lifetime benefit just like your parents did when they retired. If you are little less lucky you work for a company that sponsors a 401k plan. You contribute to the plan and your employer may provide a matching contribution. There are no guarantees. 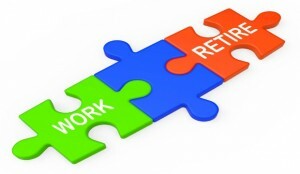 You are unlucky if you are self-employed or work for a company that does not provide any type of retirement plan. You may have an IRA or some personal savings. You are extremely unlucky if you have no retirement savings without any prospects of acquiring savings in the future. You and your spouse will have to live on social security. The survey showed 10% of Americans are very confident they have enough assets to live comfortably. These Americans have pension plans and discretionary income that can be saved for the future. On the other hand almost half of the people surveyed were not confident they had enough assets for comfortable retirements. This data is extremely disturbing when you consider millions of Americans cannot afford to retire and live comfortably. And, they are doing very little to accumulate more assets. All of their income is used to fund their current lifestyles. 90% of Americans who have access to retirement plans say they are saving for retirement. 80% of Americans, who do not have access to retirement plans, say they are not accumulating assets for their future use. This will produce future Haves and Have-Nots. Savings rates are low across the board due to high living costs and high debt-loads that are carried by millions Americans. Money that could be saved is paying down debt. These problems are not going away. For example, 58% of Americans say they have trouble managing their current debt. According to Greenwald & Associates that co-sponsored the survey only 3% of Americans with excessive debt are confident they will save enough to retire. Only 44% of Americans say they have tried to estimate the amount of assets they will need to maintain their current standard of living. I suspect most people would rather not know – the number is that far out of reach. A simple rule of thumb is taking 70% of your income the day you retire and deduct social security benefits. Then multiply the remainder by 25. For example, your shortfall is $40,000 per year. You will need $1,000,000 of retirement assets if you distribute 4% per year to maintain your standard of living. Most investors cannot afford the services of reputable financial advisors who are compensated with fees. Their only recourse is lower quality financial advisors who want to sell them investment and insurance products for commissions. These advisors do not provide real advice; their licenses do not permit that. They make sales recommendations sound like advice so they can sell financial products. Only 25% of current retirees say professionals advise them and only 38% say they follow all of the advice. This low percentage may reflect retiree awareness that most advisors are just trying to sell them products that pay big commissions. Companies and politicians know a problem, of biblical proportions, is brewing in America when tens of millions of Americans cannot afford to retire and their companies want to replace them with younger, cheaper employees. Who is to blame? Start with Wall Street that convinced thousands of companies to dump their defined plans and transfer investment risk to their employees. You could blame the companies that went along with Wall Street. You could blame the politicians who let this happen, but most of them are retired. Or, you could blame Americans who do not have the income and discipline to save on their own. The only practical solutions are deferred retirement dates and part-time jobs. The war is coming and 78 million baby boomers will light the fire.